One of the best versions of Malagueña Salerosa on the Internet. I don’t know who the performers are, unfortunately. Malagueña Salerosa (also known as La Malagueña) is a well-known Son Huasteco or Huapango song from Mexico, which has been covered more than 200 times by recording artists. The song is that of a man telling a woman (from Málaga, Spain) how beautiful she is, and how he would love to be her man, but that he understands her rejecting him for being too poor. The image below (and the image I used as background of the youtube video) is an artwork of Manuel Zardain, titled “Mariachi 2”. Manuel Zardain is know for his ability to capture the spirit of Mexico. Most of his works depict Mexican fiestas in vivid oil paintings. 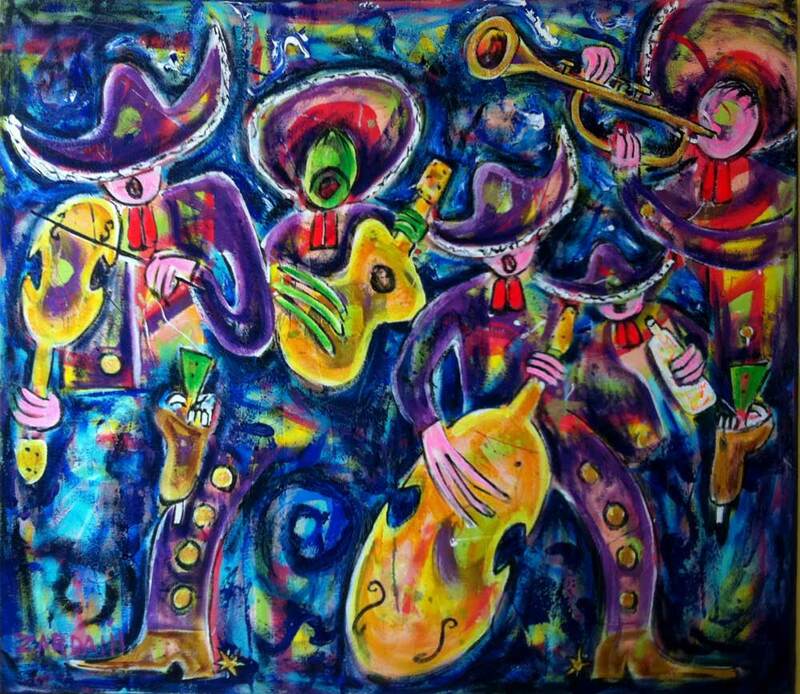 He uses oil on canvas to make his mariachi impressionistic creations. Zardain’s work can be found in collections in U.S., Holland, France, Spain, Japan and Colombia among other countries. Si por pobre me desprecias. A cambio de mi pobreza. What pretty eyes you have. As the innocence of a rose. I offer you my heart. In exchange for my poverty.